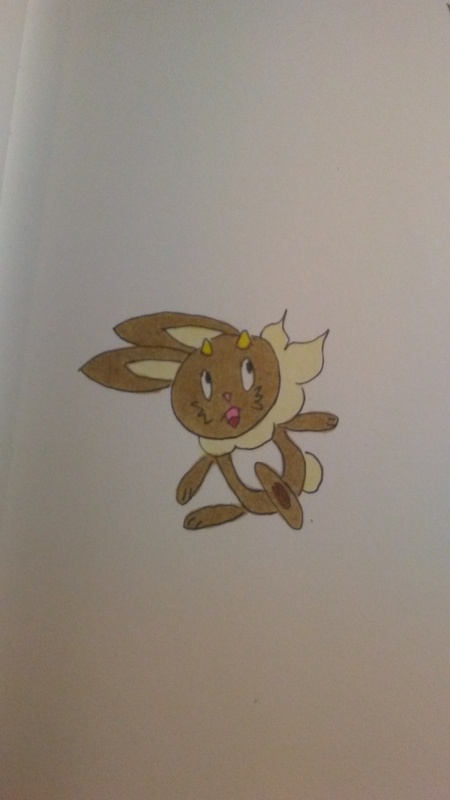 Design: Has three tails, the reason due to its Poison typing is due to the sacs on its cheeks containing Electrifying poison, Scientists are trying to find out if this Pokemon is related to Raichu, since they look somewhat similar. Scientists are considering changing its typing from Electric and Poison to Fighting and Poison, but a couple of people are saying making it a Poison/Electric/Fighting type, it also isnt exactly the best in Electric attacks, since when trainers catch them, it isnt directed at Electric attacks, focusing on Fighting and Poison attacks, this is still unclear why this is the case. Super Chop, a Fighting type fast move that does 20 damage, having a 22.3 DPS, and has a 450 MS damage window, faster then Bite, this will make it the best Fighting type attacker, even thought it doesnt have a Fighting typing. I will probably make it on March 1st, so make sure to vote, it will close on Feb 26th, nine days from now! Haven’t forgotten this! Super busy lately. Fluxie are common bird Pokemon who appear in warmer seasons. Once only seen in the wilderness, Fluxie have adapted to city life since so many trainers have set up nectar feeders to lure them. Fluxie cannot resist nectar, honey, or any other sweet substance and can even become pests during extremely hot weather. With their hyper sense of smell, Fluxie will frequently fly through open windows and into homes if they smell sweet scents. 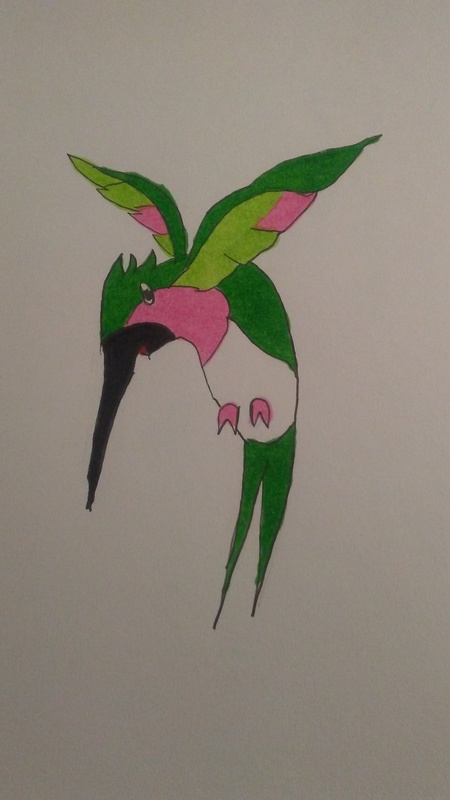 Fluxie are based off of small hummingbirds. Their name is a combination of the words “flutter” and “pixie”. While Fluxie are social Pokemon who inhabit urban areas, Rubyfae tend to shy away from them. Heading back to the wilderness where Fluxie originated, Rubyfae would rather spend their time searching for nectar and honey from flowers and bees than from humans and trainers. Rubyfae are lightning fast and can hover in mid-air. When they do this, their wings appear to be invisible, which makes them difficult to see or catch. Seeing a Rubyfae in the wild is said to grant you good luck. 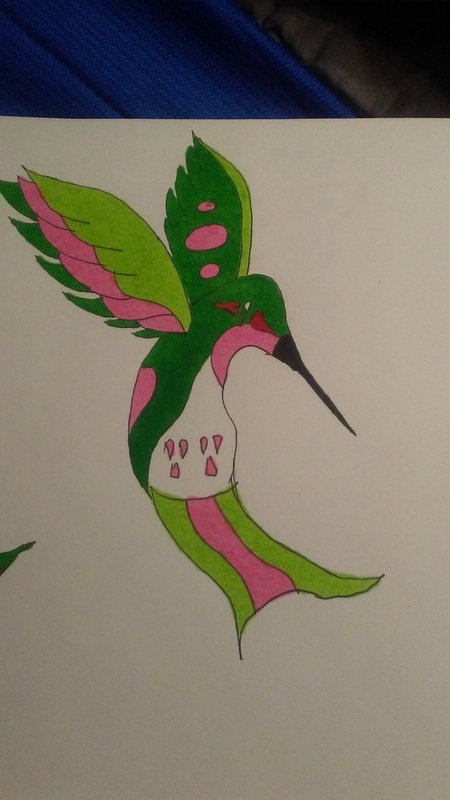 Rubyfae are based off of ruby throated hummingbirds. Their name is a combination of “ruby” and “fae”, which is another word for fairy. Rubyfae are the second fastest Pokemon in my dex. Really enjoying this thread - exceptional work VanHoolll! Let’s hope the new critters in Sword and Shield are as creative and well thought-out as these. Decided to stay in tonight and draw made up Pokemon. Expect several tonight. Suncub is a small bear Pokemon who are only seen in warmer seasons. They spend the majority of their day basking in the sun, which replenishes their energy. Suncub hate the cold and will become ill if they are in lower temperatures for too long. Even in the cold though, if they get enough direct sunlight, they can survive just fine for awhile. Heliomaul is an irritable Pokemon who should be avoided at all costs in the wild. Despite the cute nature of Suncub, trainers should be very careful when evolving one as Heliomaul are very unpredictable Pokemon with bad attitudes. Due to it’s aggressive nature, it exhausts itself pretty quickly and will need sunlight to replenish itself. The angrier it gets, the more the fiery mane on it’s back flares and orange patterns on it’s body glow. Heliomaul is based on a variety of black bears: sun bears, sloth bears, and Asian black bears. It’s name is a combination of “helio”, which is a term for the sun and “maul”. This Heliomaul looks so amazing. I wish it would be in the series which I grew up watching. The moves are also appropriate (something similar on FinancePolice) and I liked this unpredictable nature of the Pokemon. Shrabbit are common Pokemon who can be seen in just about any environment. Extremely distrustful, Shrabbit will run at the first sign of a trainer or other Pokemon. If it isn’t caught with the first ball, it will always successfully flee. Once caught, however, Shrabbit can become very loyal Pokemon since their trust is so difficult to obtain. Shrabbit are based on baby rabbits. Their name is a combination of the words “shy” and “rabbit”. 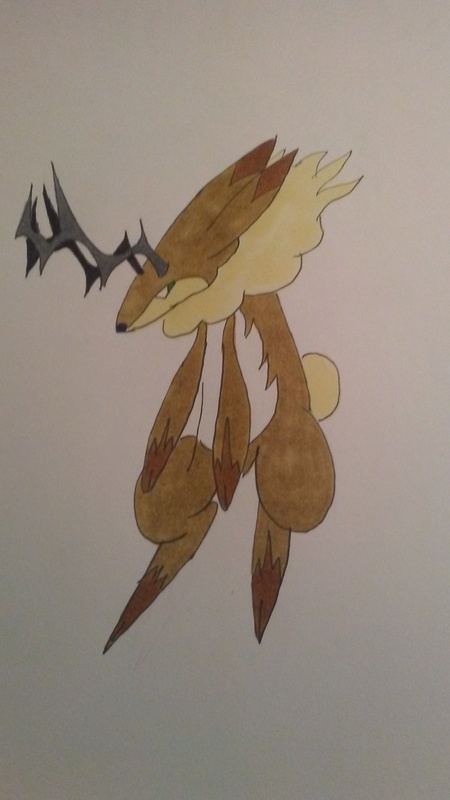 Leapalope are playful and friendly Pokemon who enjoy the company of both humans and other Pokemon. Leapalope like to ram each other for fun, seeing who can succeed at knocking the other over. Since it’s pre-evolution, Shrabbit, is so abundant, Leapalope are a common Pokemon for young trainers. Leapalope are based on a juvenile rabbit with antlers. 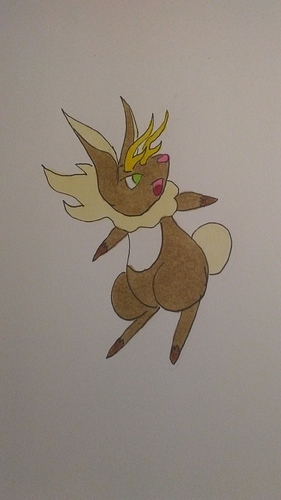 It’s name is a combination of “leap” and “jackalope”. Antalloy are an extremely rare Pokemon that were thought to be a myth for several centuries. It wasn’t until the discovery of the rare item known as the Mystical Antler that it was confirmed to in fact be real. Once upon a time, charlatans would attach antlers to various rabbit Pokemon and claim they had found a real Antalloy, only to eventually be revealed to be scam artists. Some trainers go their entire lives without ever seeing an Antalloy. Antalloy are based on the mythical Jackelope. It’s name is a portmanteau of the words “antler” and “alloy”. 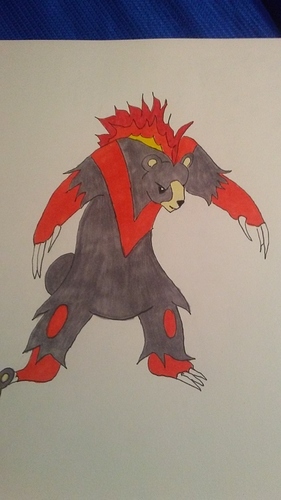 Ursabear, the Grass Bear Pokemon, and the Evolution of Ursaring, it is a Normal/Grass type. 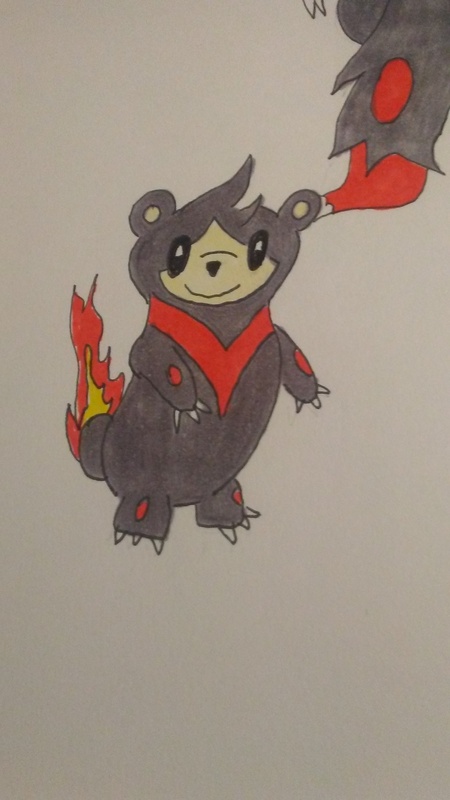 Unlike Ursaring, it is very calm, and does not like to attack, but when it does, it is very dangerous, but it doesn’t mind when other pokemon or people come into its territory, it only minds when other Ursabear come into its territory, but they just ignore each other, but they are annoyed. Infact, it shares it good with other pokemon ur people that are hungry. It does not raid Combee’s hives and instead works a deal with them, like Food for their honey. It is able to sense good and evil, and have been sighted attacking people apart of Team Rocket and other evil organizations. Updated Pokedex Info: Elesludger has been found to be related to Raichu, as they seem to be very friendly towards each other. What Pokemon do you want next? It closes on March 10th! Make sure to vote! Still cranking them out this weekend. Orbelite are rare Pokemon who spend the overwhelming majority of the time floating high above the clouds. Fascinated by technology, Orbelite will only lower itself close to the surface out of curiosity. This causes many Orbelite to be found at observatories and labs that are situated in higher altitudes. 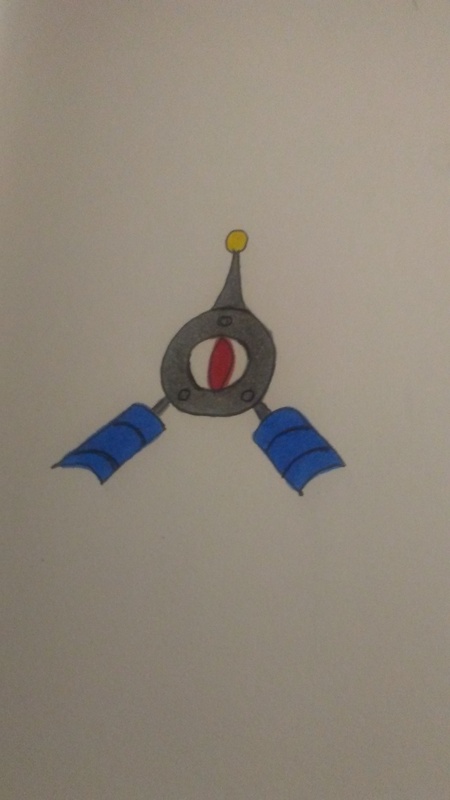 Some theorize that Orbelite are not from this world, but might be closely related to Magnemite, though this has never been proven. Orbelite is based on small satellites. It’s name is a portmanteau of the words “orbit” and “satellite”. Astrosphere are never seen in the wild as they will always remain in the upper atmosphere and see no reason to ever come down. 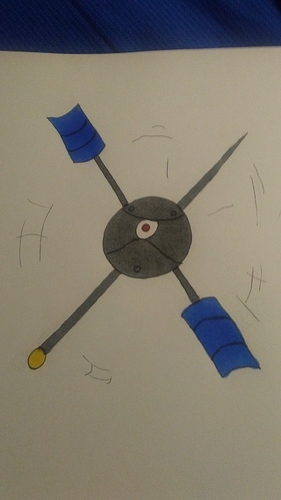 Their four “arms” are always rotating on it’s round body and it is always on the move, circling the planet repeatedly. Just as curious as their pre-evolutions about technology, Astrosphere prefer to listen and observe from afar. Much like Orbelite, Astrosphere is based on a satellite as well, just a larger version. It’s name is a combination of “astro-”, a prefix for space and “sphere” for it’s round body. “Sphere” also is in relation to the terms “stratosphere” and “atmosphere”. I appear to be lacking a dragon type at this point. 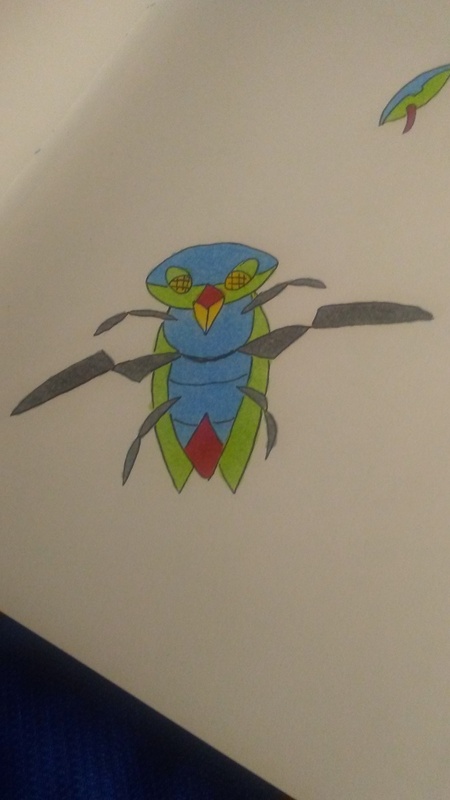 Scubeetle are common water bug Pokemon who frequent every body of water on the map. They usually can be found floating on their backs, lazily swimming in circles. They appear to be clumsy Pokemon that bounce off of each other, other Pokemon, and various objects. Don’t be fooled though, Scubeetle can submerge quickly should danger arise and can dive to depths where the pressure would crush other Pokemon. Scubeetle are based off of backswimmers or oarsman bugs. Their name is a combination of “scuba” and “beetle”. Aquatail are predatory Pokemon and while they resemble scorpions, they are actually not scorpions at all and lack stingers. Their tail is, however, armed with a deadly whip and they have a poisonous bite. Aquatail are not prolific swimmers and prefer to submerge themselves partially underwater, their back half and whip tail on the bank or shore. Their eyes are covered with a protective film so they have perfect vision in any type of water environment. Sitting very still, they grab prey that wander by with their claws, slapping it with their tail into submission. 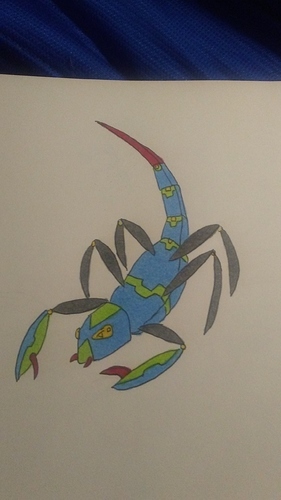 Aquatail are based on an insect called a water scorpion. Much like Aquatail, they resemble scorpions but are not scorpions at all. 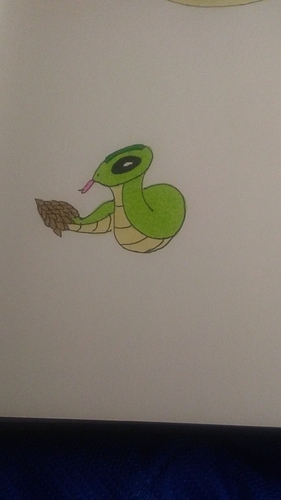 Grasslet are friendly snake Pokemon who are common catches for early trainers. Some theorize that Grasslet actually like being captured and look forward to finding a trainer to train them. Friendly, curious, and extremely affectionate, Grasslet are known to have an affinity for children and will commonly wrap themselves around their arms. Grasslet are hyper common and sturdy, which means they can be found just about anywhere. Grasslet are based on a common grass snake with a pine cone for a “rattle”. Grasslet is a combination of “grass” and “snakelet”, which is a term for a baby snake. Despite it’s fearsome appearance, Conestrictor is also a very friendly Pokemon who get along well with humans. Conestrictor will voluntarily protect farms and gardens from pests, sometimes whether the owner wants them to or not. Despite it’s docile personality, Conestrictor are not to be trifled with. Armed with a heavy cone on the tip of it’s tail for bludgeoning, sharp teeth, and a potent venom, Conestrictor are fierce combatants. 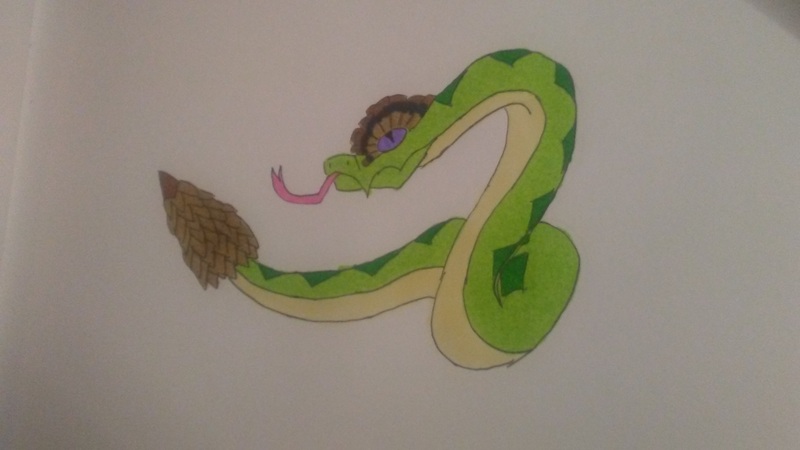 Conestrictor is based on a mix between a pine snake and a hog-nosed snake, with a large pine cone on it’s tail. It’s name is a combination of “pine cone” and “constrictor”.